The first 30 (thirty) days worked, are considered probationary. This gives us the opportunity to observe your job performance and enables you to better understand our work standards and expectation. The completion of the probationary period should not in any manner be construed as any guarantee of future employment, nor should the same be construed to grant any additional rights to the employee. We view training as an on-going process, which benefits both the employee and the Company in terms of growth potential. On the job training (OJT) ensures learning the best methods of performing job responsibilities as well as learning new skills. At Industrial Painter .com management strives to work closely with employees so they can learn to perform their job functions effectively, understand the interrelated objectives of different aspects of the department, and get an overview of the department. Every effort is made to train each employee to do his job properly and with confidence through the experience of the supervisor, fellow employees, and that of the individual employee as well. We aim to maximize the product quality, workmanship, and customer service while minimizing operating inefficiencies. There may be times when you legitimately feel that you have been (thrown to the wolves) so to speak. While we can try to cover the basics, we cannot anticipate every potential situation. If you are uncertain in a job situation, you should use common sense, hard work, service the customer as best you possibly can and ask a supervisor for additional guidance when you can. Please be attentive, ask questions and try to learn everything you can about performing your job better. The company has the right to expect that employees will be present; ready for work, when and where they are assigned. Our business requires us to work many times when other people are not, such as nights and weekends, some holidays. We must continually adjust our scheduling procedures to ensure that the needs of our customers are being serviced properly and efficiently. You are expected to make any and all arrangements necessary to get yourself to work on time as scheduled. Be aware that starting times are almost always definite, ending times are estimated by the supervisor. Depending upon the job, the workflow, and the finish date, you may be asked to stay longer or you may get out early. If for any reason you are unable to work you shift, it is your responsibility to inform your supervisor immediately. 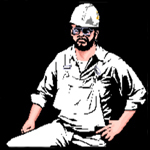 Industrial Painter .com will try when possible to arrange work schedules that are convenient to the employee's and to the company. However, you must realize that the company's needs, not the employee's desires must come first in deciding what work schedules will be posted. Discuss both days and hours available with your immediate supervisor. The supervisor must have a clear definition of your needs to best develop a schedule that works for you. But again, the supervisor cannot guarantee a fixed schedule during your employment with Industrial Painter .com, Inc., because our business volume fluctuates. Our business requires a flexible schedule. You will be required to work weekends, evenings, and holidays. Nothing is inferred regarding the guarantee of 40 hours and/or over-time. The company reserves the right to adjust schedules to the needs of the projects. Industrial Painter .com, believes in scheduling its most productive, loyal, dedicated and cooperative employees first. The people who work the hardest for the company are the ones who deserve the most hours. Full-time and permanent employees will always get the first chance at hours. Ability and willingness to work less popular shifts is also important. When possible, we generally try to balance out the available hours among employees. Seniority is somewhat of a secondary consideration. If it is difficult to differentiate different levels of performance, then seniority would play more of a role. Overall, if you are looking for more hours, the best course of action for you to take is to put a little extra effort into your job performance. Overtime, this extra effort will be noticed. If an employee works an eight-hour shift, he/she will receive a 30-minute lunch break and are to be clocked out. We at Industrial Painter .com believe that each employee should use this time to re-group, eat and maintain a healthy energy level. You will always be paid for a minimum of two hours, unless you arrive late or decide to leave earlier. If you are called into work and you are not needed, due to circumstances, you will receive two hours of pay, even if you worked 10 minutes. In the event that any production employee (exterior worker) is involved in any outside job, they are expected to work Saturdays or Sundays if the weather permits. This means that if the following weather forecast states rain in the upcoming week, he is expected to finish the project throughout the prior weekend (if the weather permits). This is to off-set any possible upcoming rainy days. Employees must give advance notice (preferably in writing) to their immediate supervisor whenever an absence from work is required or anticipated. Inform your supervisor directly; do not relay cryptic messages through other co-workers. Whenever an unexpected absence or possible tardiness arises because of illness, accident, or emergency; the employee must immediately notify the supervisor or the Industrial Painter .com office, by telephone, as soon as possible. You are personally responsible to call in a minimum of four 4 hours prior to the start of your shift if you are unable to work. All efforts must be made to speak directly with your immediate supervisor. Attendance and tardiness will be carefully monitored; infractions and problems will be subject to disciplinary procedures. Failure to notify Industrial Painter .com of an absence of three days or more will result in automatic termination. Written notification from a licensed Doctor is required for three consecutive absences unless prior arrangements have been made. Chronic absences, tardiness and late notification may lead to disciplinary action including suspension and termination. We are in a service industry and we need dependable staff to take care of our customers. If you cannot work a scheduled shift, you must do your best to cover your shift, with advance management approval. Being on time is essential to a smooth running business. It is imperative that you be on time. 1st Offense: 1-day suspension without pay. 2nd Offense: 1-week suspension without pay.